Lindsey Tramuta is an American who has lived in Paris for a decade. She writes the award-winning blog Lost in Cheeseland and contributes regularly to the New York Times. 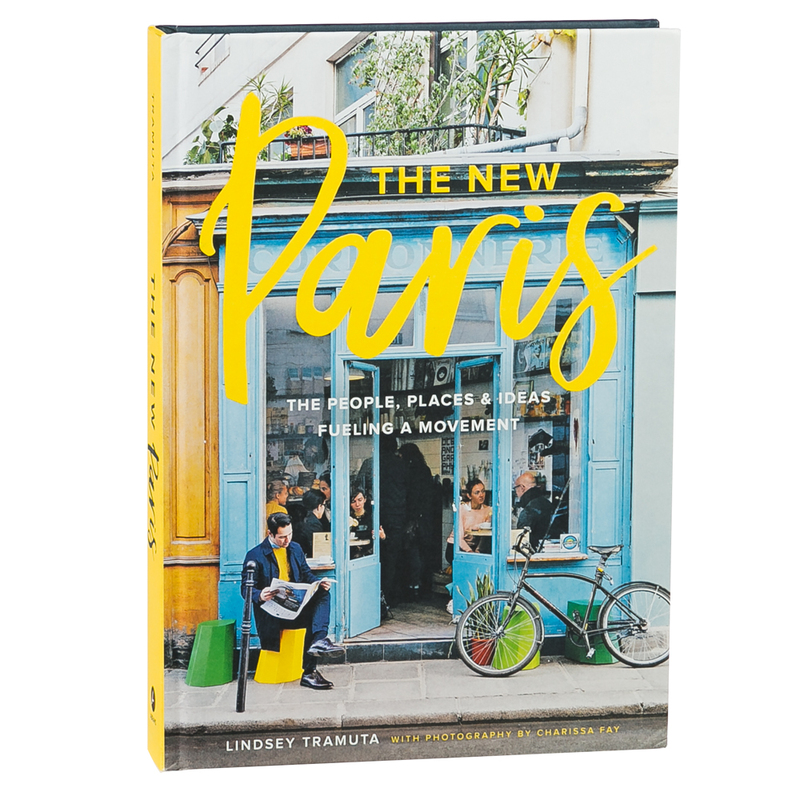 This new hardcover ‘The New Paris’ is sure to delight French nationals and travellers. Commonly referred to as the city of love, world known for its old-time brasseries, and corner cafés has even more to offer today. In the last few years, a flood of new ideas and creative locals have infused a once-static, traditional city with a new open-minded energy. Lindsey Tramuta offers detailed insight into the city of food, wine, pastry and coffee. Putting Paris into the spotlight with a focus on the new trends and people that are making France’s capital a more whimsical, creative place to explore than its classical reputation might suggest. With hundreds of striking photographs that capture the energy and spirit, The New Paris shows us the storied City of Light as never before. Discover the astonishing French capital with vivid photography. Beautiful hardcover with 271 Pages.